A special thanks to Target for sponsoring this post. 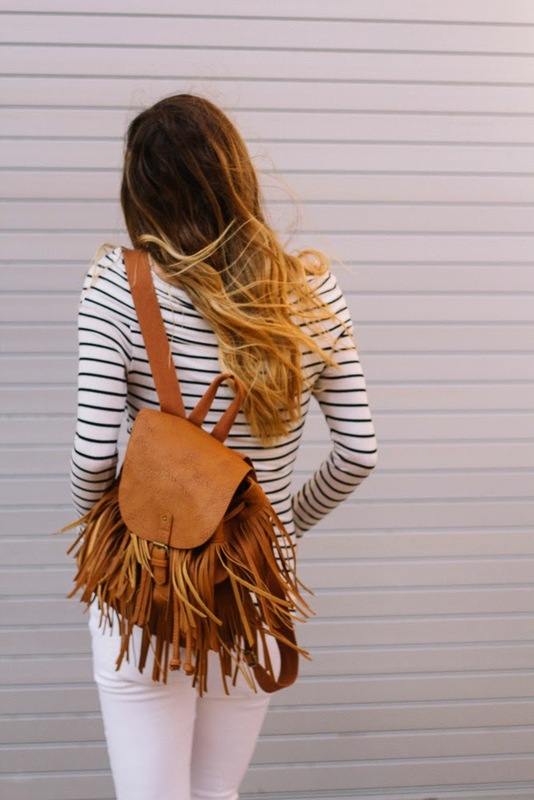 Fringe is a very popular trend this spring season. 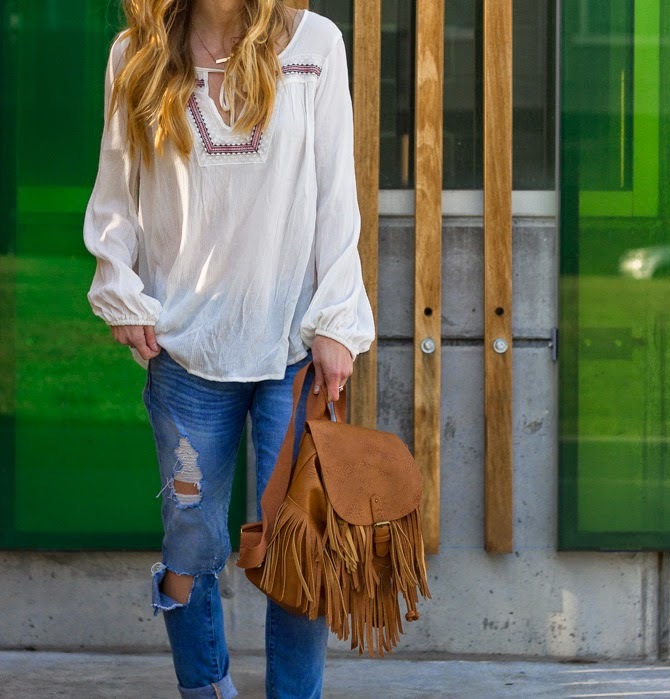 It is fun, flirty, and there are so many different ways you can rock this trend. If you’re not entirely sure about a trend, the best way to ease into it is through your accessories. 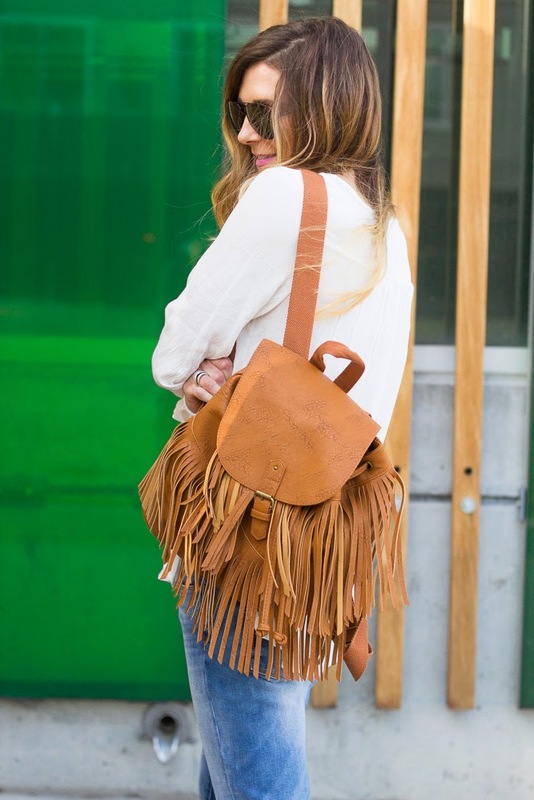 A fringe bag will add an edgy touch to any casual outfit. 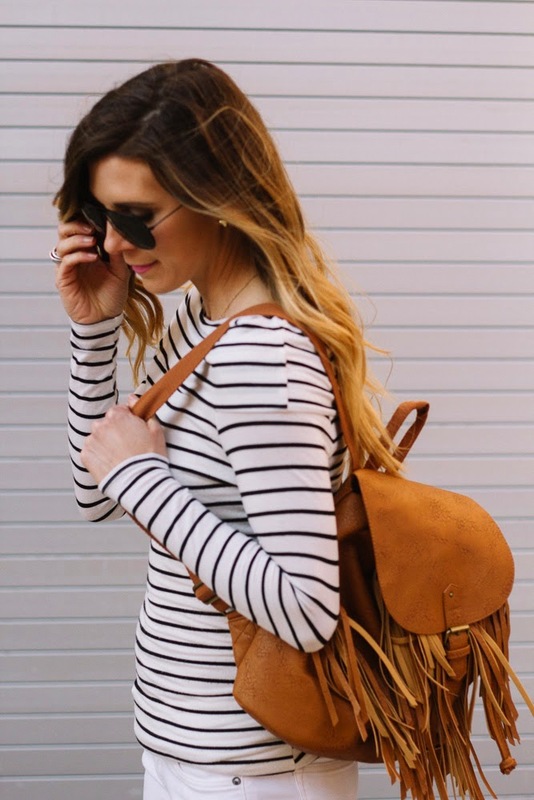 This tan one from Target is a great versatile option that you can match with almost anything in your closet. 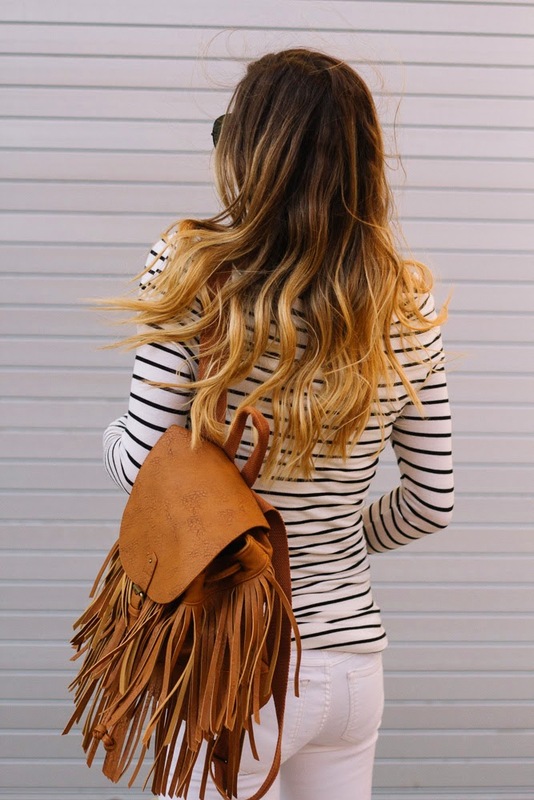 This black fringe tote is another option that can be added to almost any ensemble. Anytime I try a new trend, I always try to incorporate existing wardrobe pieces with the new. I think sometimes I forget what I already have and end up buying pretty much the same thing anyway, so don’t go overboard. One fun new piece added in with existing pieces. 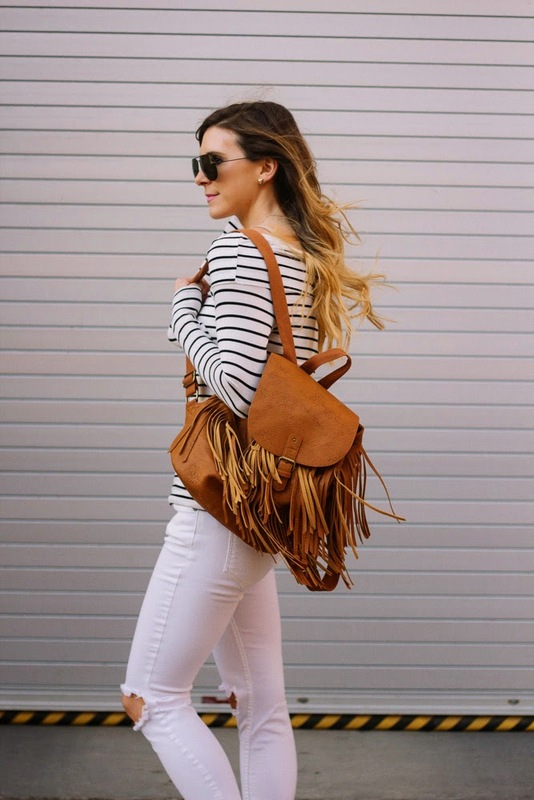 Both these fringe bags were under $35! 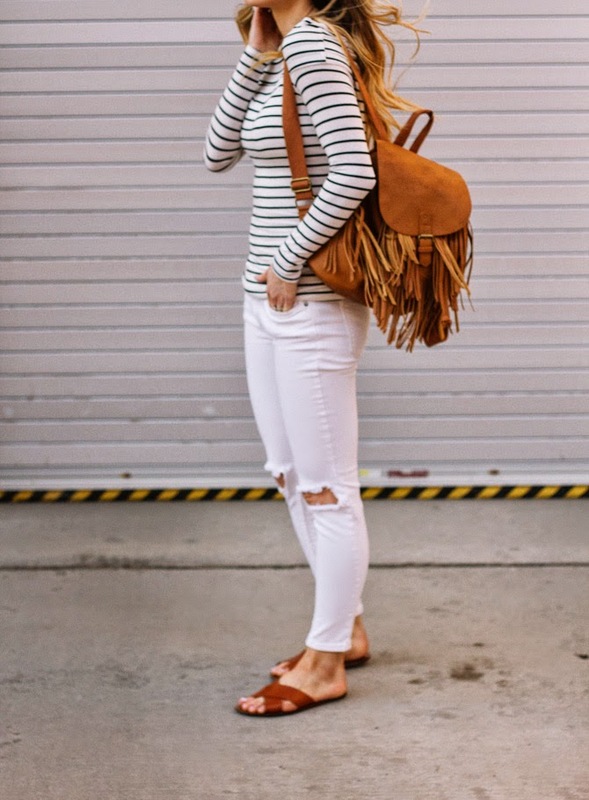 Both bags are super cute (I'm a total sucker for fringe!) but that backpack is amazing! Love your looks, Becky! 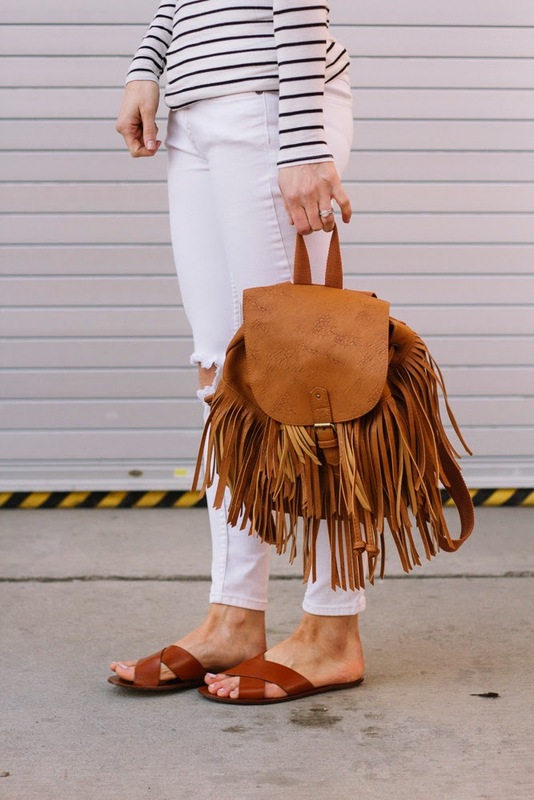 I love the fringe on those purses! Super cute!